You can now get Retin-A at TLB! Hello my sweet Beauts and Beauties (Beautique clients), this is your Lady KNOW it all here. My Beautician (Beautique therapist who works magic!) has recently let me in on a top secret sealed product that has been on the low down for far too long BUT finally I am bringing it to the limelight so that all Beauts & Beauties (Men and Woman) can try look as good as me. Carry on reading if you’re at all interested in being in the cool crowd. The moment I wake up, before I put on my makeup, I say a little prayer for you… before you comb your hair Now, and think what dress to wear now… STOP! and read on! The moment I wake up or any time after, I don’t have that awestruck radiant, frozen in time porcelain, no flaw, skin appearance! Look at those wrinkles around my once googly eyes, each day those wrinkles get more comfortable and set in deeper. My poor kids are frightened of my static angry frown that I can’t get rid of even if I’m as happy as happy can be. No matter the amount of pension funds I used on my anti-aging creams, I used to wake up in the morning shocked by another development – another fine line, a wrinkle, slowly losing volume in the wrong places, now pigmentation! Magazines and media will boast yet again about the newest miracle cream that promises unrealistic results. Ageing in inevitable but surely we can reverse a little and slow it down a lot? NOW ladies are you ready to hear what my top secret for reversing and slowing down the hands of time? You sure? This will be life changing. We live in the age of technology, yet most woman (and some men) I know go for traditional facials. Cleanse, steam, extract, slap on some lotions, some called potion, a mask and bobs your uncle. One cant expect real results from old school treatments. A traditional facial is simply a deep cleanse. Truthfully, you wouldn’t need a deep cleanse if you were on the right regime. Think BIG, think technology, think laser, think RetinA, think Results! Yes, since I’ve been introduced to technology facials, I cant live without them BUT now I have discovered I cant live without my RetinA! Yes no surprise here, I am sure somewhere you have read about or someone has mentioned to you the benefits of RetinA, Retinol, Retinoids or maybe you have heard of Tretinoins or VitiminA based serums or night cream? Salons and beauty clinics around South Africa and the world stock amazing beneficial products that target those nasty fine lines, crepey skin, sun spots and/or those gorge deep wrinkles. BUT does it actually work? Are they strong enough? My Beaugician (Beautique therapist who works magic!) explained what the benefits are and if my pension money is being spent well. So this is the lowdown; retinol found in over the counter products have a slow release of Retinol that is naturally gentler on the skin, with fewer side effects, and needs a few weeks to see results. Their effect however, are still magical and must be included into your regime darling. Don’t get lazy now! But being Lady KNOW it all, I know I need something more, something stronger! Now I have tried to find something stronger from my dealers on shady corners and clinics behind bathroom stalls but none could get me the strong stuff or anything with the benefits of true RetinA. You need a prescription. 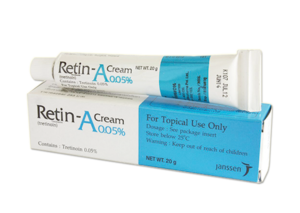 Retin-A is a prescription-only tretinoin cream. (Tretinoin is another name for retinoic acid!). Difference to Retinol, is Retin-A does not need to be broken down by the enzymes in your skin before it can be used therefore the strength of these prescription creams comes with amazing and speedy results, such as diminished blemishes, reduction in wrinkles and boosted skin elasticity. 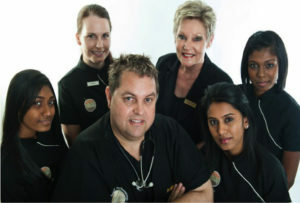 Now here comes the magic, The Laser Beautique have partnered with a well-known Dermatologist, top of his field, Dr Mark Roscher, who will be assisting with online consultations and writing prescription RetinA creams JUST FOR YOU! No need for a Doctors appointment. My Beaugician simply completed a thorough skin analysis highlighting my skins concern and areas of treatment, filled out a form on my behalf which I read and signed, she took a couple of pics, forwarded to my RetinA guru (aka Dermatologist), I paid R880 for the online consultation, directly to Dr and 48 hours later I got my prescription emailed to me. Wham, bam, thank you Doc! I am now on an amazing skin regime recommended by The Laser Beautique and to support all my efforts, I now have the power of RetinA. What are you still sitting there for, I know my writing skills are superb! Get up darling, dash on over to your closest Laser Beautique and schedule a skin analysis. Stay tuned, next blog is about how to apply your RetinA, All about technology facials and more. The most effective anti-aging item on the dermatology list today! Balls to the walls! All he needs to know about grooming down there!